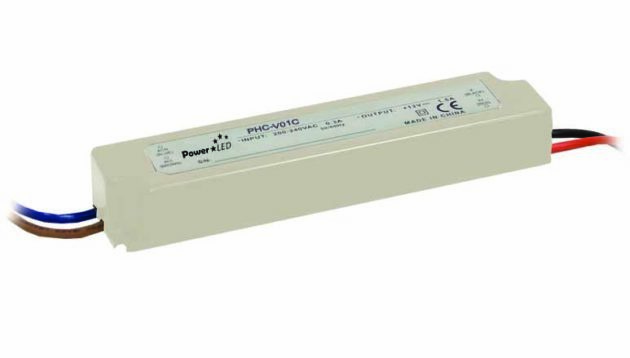 PHC-V01 Series are a range of 18W LED drivers, offering constant voltage outputs and IP67 ingress protection ratings against dust and moisture. PHC-V01 Series are a range of 18W LED drivers, offering constant voltage outputs and IP67 ingress protection ratings against dust and moisture. The series operates at an input voltage range of 180-264VAC and is available in output voltage options of 12V, 24V & 36V. PHC-V01 Series come in a 140 x 30 x 22mm encapsulated plastic case profile.